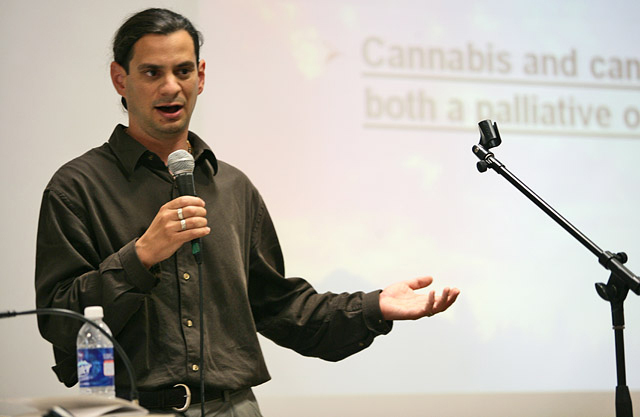 Paul Armentano is the Deputy Director of NORML and the NORML Foundation. Mr. Armentano is an expert in the field of marijuana policy, health, and pharmacology, and has served as a consultant for Health Canada and the Canadian Public Health Association. He has spoken at numerous national conferences and legal seminars, testified before state legislatures and federal agencies, and assisted dozens of criminal defense attorneys in cases pertaining to the use of medicinal cannabis, drug testing, and drugged driving. He is a frequent guest on radio, and has appeared frequently on the nationally syndicated Dr. Drew Pinsky show. Mr. Armentano is a prolific writer on the subject of marijuana and marijuana policy. His work has appeared in over 500 publications, including the New York Times, Washington Post, and The Christian Science Monitor. His writing has been featured in more than a dozen textbooks and anthologies, and he is a frequent contributor to AlterNet, High Times, The Huffington Post, and the Washington, D.C. newspaper The Hill. Mr. Armentano is a 2008 recipient of the ‘Project Censored Real News Award for Outstanding Investigative Journalism,’ and is the co-author of the book Marijuana is Safer: So Why Are We Driving People to Drink? (2009, Chelsea Green). He lives in northern California and is a frequent speaker at Oaksterdam University in Oakland.